Check out Tobi's Karlie Off Shoulder Skater Dress The Rose Karlie Off Shoulder Skater Dress has it all going on. 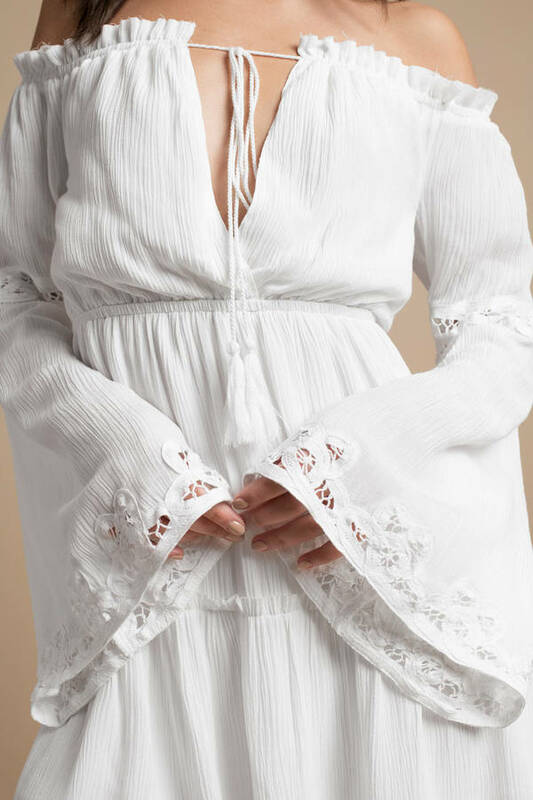 With a plunge bardot neckline, tiered skirt, frill trims and long bell sleeves with crochet inserts, this skater dress is finished with a frayed hem. Perfect with booties in the city or as a long sleeve cover up for your next vacay. The Rose Karlie Off Shoulder Skater Dress has it all going on. 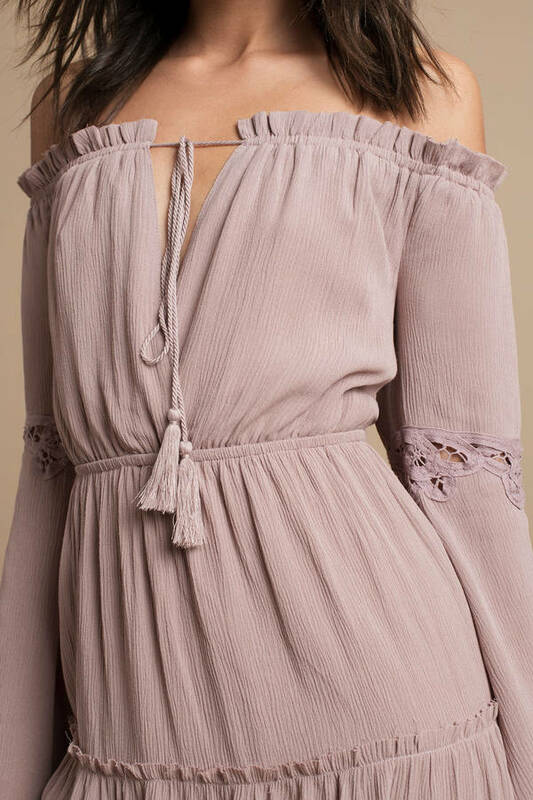 With a plunge bardot neckline, tiered skirt, frill trims and long bell sleeves with crochet inserts, this skater dress is finished with a frayed hem. Perfect with booties in the city or as a long sleeve cover up for your next vacay. The White Karlie Off Shoulder Skater Dress has it all going on. With a plunge bardot neckline, tiered skirt, frill trims and long bell sleeves with crochet inserts, this skater dress is finished with a frayed hem. Perfect with booties in the city or as a long sleeve cover up for your next vacay.